18K White Gold Handmade Milgrain Bezel Studs , Studs Diamond Earring, Buy Diamond Earrings. 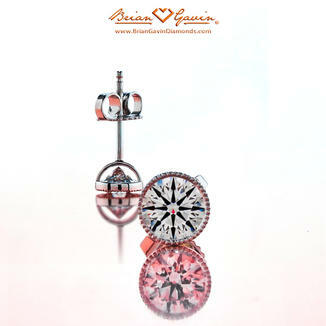 The Brian Gavin hand milgrained bezel stud earrings will become one of your most prized possessions. The setting “enlarges” the center stone so that the studs are very prominent when worn, yet is delicate and quietly complimentary to the diamonds, not overpowering. You are sure to get lots of compliments when viewers lean in for a closer look at the lovely artisanship. Available with friction or screw backs, the white gold is luxurious and sets off the diamonds, making them face up whiter than they are. Please note: These settings are made to order and are final sale. Price is for settings only. 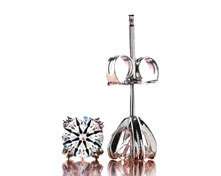 Select your diamonds from our extensive online inventory of matched diamond pairs. These studs are stunning. 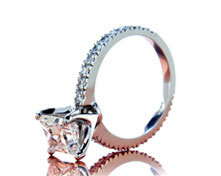 They are handmade for your diamonds and are just beautiful.